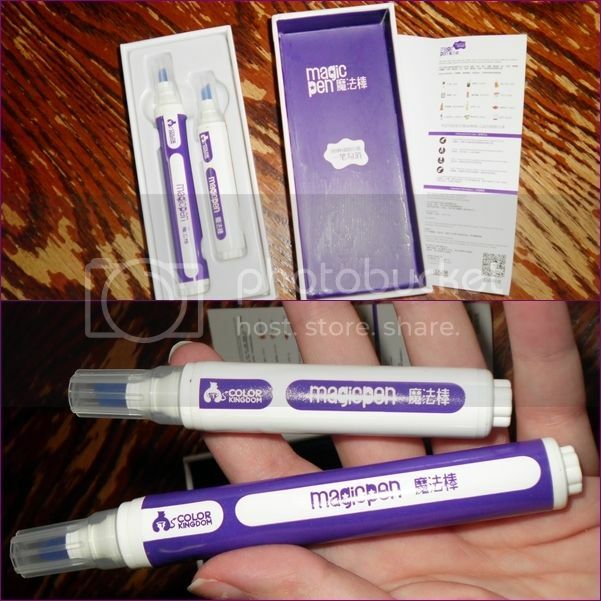 What I love: Magic Pen is an instant stain remover that removes 88 different types of stains. It comes in a small box so it's travel-friendly and easy to carry. Each box comes with two pens, one 10mL and one 5mL. They are simple to use, just press on the stain and rub in a circular motion until it's gone. Having children there is a lot of stain potential, especially with food and drinks, so this has really came in handy the last week. It does not contain bleach, which means it's color safe, it works by activating oxygen-based chemicals that help to release stains. So far I haven't had any problems but you have to use it right away for best results, you can't allow a stain to set. I really like it so far!